Successfully saved Easy Fresh Strawberry Mousse to your Calendar. You can also save the ingredients to your Grocery List. 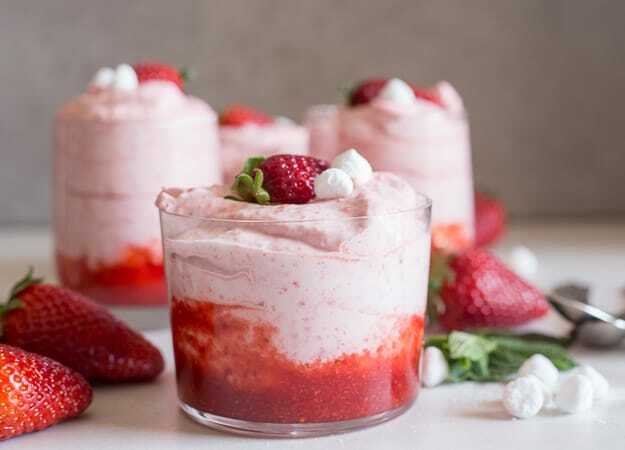 This Easy Fresh Strawberry Mousse is made with only 3 ingredients, no gelatin and no bake. The perfect creamy fluffy Mousse dessert. A delicious dessert to serve at any occasion. Say hello to spring with this simple yet out of this world dessert recipe.